How does one build shop floor confidence? It's about empowering your team with real time data to make smarter, faster decisions . 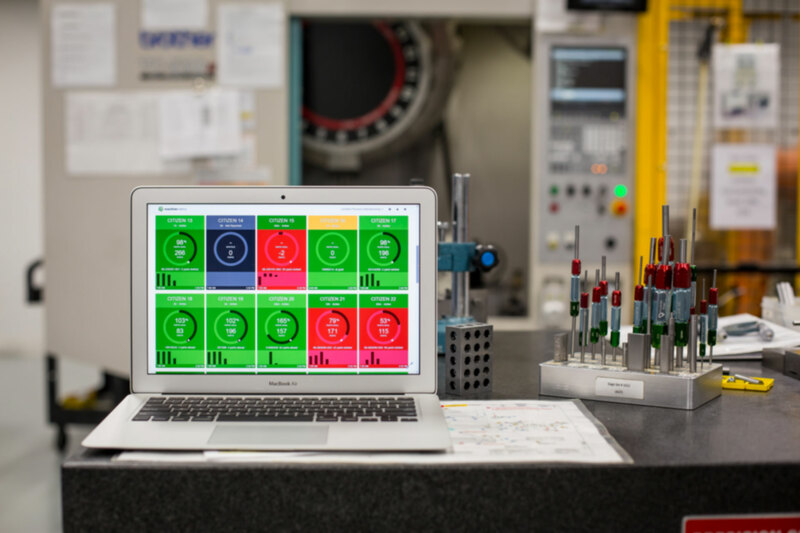 With instant notifications, real-time dashboards and historical Pareto reporting, MachineMetrics machine monitoring software turns lean manufacturing into reality. Simple to Use: Tablets mounted to individual machines allow operators to easily categorize downtime, track setup, reject parts, and indicate tool changes. Powerful Results: MachineMetrics' added transparency helps companies increase OEE and production rates by over 20% on average.